Yesterday my buddy from Vodafone called and said me that they have the N95.Of course I went immediately to my buddy to test the N95. That was my second time that I saw the N95 live and it was a great feeling. I have shot some picture with the N95 and my 6680.The pictres of the N95 are fantastic. They are sharply and realy color-faithfully. The guys,of phonearena.com, have written a great Review about the N95. It is 9sites long and contained more than 300 photos and a seven minute video detailing every aspect of this great device. If you have any question jump over to the forum. Steve Litchfield, of Allaboutsymbian.com, has put all his five N95 reviews together and wrote a short summary. His verdict can you read here. 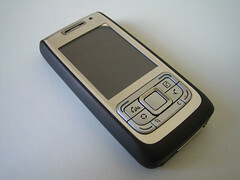 Greg Taieb, of Symbianfrance.com, has written a realy good review over the new Business Slider Nokia E65.The Review is very detailed and leaves nothing open.Unfortunately is the review on French, but I translate it with Google. 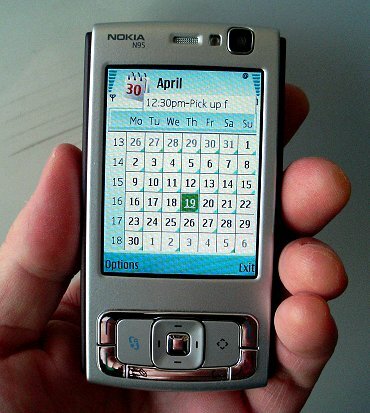 Steve Litchfield, of Allaboutsymbian.com , have summarize 19 useful tips for the N95 user. Jump over and say him what you think.